When is a watch not worth fixing? That's a good question. I think the answer depends on a lot of factors but the main one is how good the case is. If the case is shot, then it's probably not worth fixing as repairing cases can be expensive - but even then you could make an argument. Of course, you can take damage to an extreme. For example, I once had someone send me a photo of a watch they found somewhere on a Pacific ocean beach. I'd say this one was not worth fixing... wouldn't you? Based on the general shape and the numerals and markers, I'd say it's the remains of a 1946 Norman. All of it was lost to Davy Jones's locker except for the solid 18K gold numerals and markers. Watches can certainly take a beating and my most recent project is no exception. It caught my eye because I thought it might be a diamond in the rough. It's a 1955 Wynn. I was only made for two years so you don't see them very often. The Wynn came in a 10K gold filled case and it's unique in that it spans the transition from the earlier 12/0 sized movements to the 22 jewel 770 movement. Since the movement is the same size, there was no need to designate a B model when the movement changed. 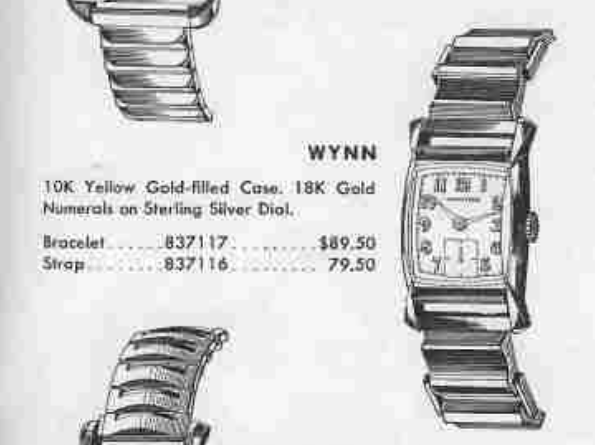 So you will see the Wynn with a 19 jewel 753 movement or with the 770. If it's got the 753, you know it's a 1955 model but a 770 could be from 55 or 56, as the 770 was introduced in mid-1955. My project watch arrived without a crystal and apparently it spent a long time without one because it's got a serious case of dial rash. It's also not running but that could just be because it's dirty. The case back has a little bit of wear through by the crown but is otherwise unremarkable. 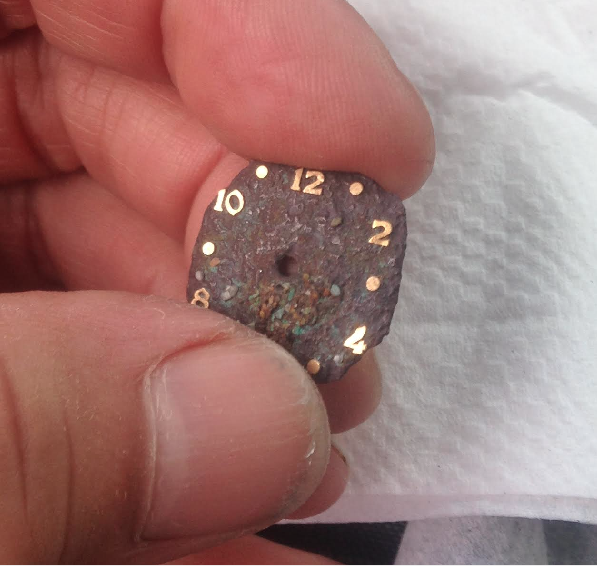 The dial has a clear outline of the bezel opening so I'm optimistic that the staining on the dial might be removable. 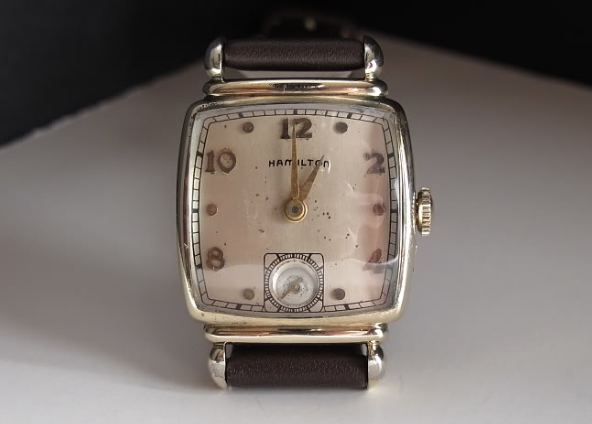 Based on the dull gray haze of the movement, I'd say it's been decades since this watch last saw a watchmaker. There's a little bit of rust on the set lever and winding pinion but the ultrasonic will clean most of that off. The case back makes identifying the model very easy. I see two sets of watchmaker's marks inside so at least an attempt was made to keep this fine watch in ship shape. A new cylinder style glass crystal is a necessary addition to this watch. As you can see in the shot below, everything is clean and sparkling, except for the dial. It will need to be refinished. My best efforts to clean it up failed to make a significant improvement and I didn't want to lose the printing. I found the pallet fork and the escape wheel both had broken pivots, which explains why it wasn't running. Fortunately I so I had spares. The movement is now running with good motion. However, it's running a bit fast according to the timer. I'll tweak the regulator and see what happens. Some folks might forgive a 60+ year old watch running a minute and a half fast (I probably would). However, I can slow it down by adding some weight to the balance. Each one of these tiny timing washers adds a modicum of mass to the balance wheel and slows it down slightly. I just need to make sure to add the same amount to opposing sides, so I keep the balance well poised and don't create a heavy spot. I tweaked the balance a little toward fast. And now have better time keeping. The beat error increased slightly but I think that's because the regulator might be changing the shape of the hairspring and effectively moving the position of the index jewel relative to the pallet fork. I could try to reduce it but that risks goofing up the hairspring and I'd rather not push my luck. Not long after I bought my project watch I saw a rather odd-looking bracelet for sale on eBay. My first thought was, "That's a weird looking bracelet... surely no Hamilton would use that?". Then I relooked at the catalog image of the Wynn and low and behold - it's the same bracelet! So I bought it. You'll have to stay tuned for an update to this post after I send the dial out to be refinished. Other than a couple of flea bites to the lower left lug, I'd say the case is in great shape. 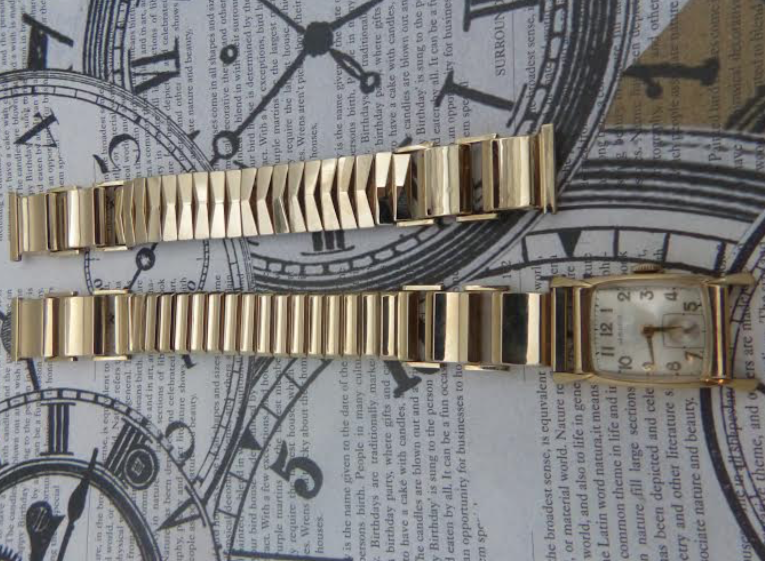 With the new old stock bracelet and a correctly refinished dial, this Wynn should turn out to be a great example. I'd say this watch was definitely worth fixing. Don't you think so? Well my bubble was burst by one of my bracelet-crazy Hamilton friends who emailed me to let me know that my bracelet, though close, is not quite correct. To prove the point, he sent me the photo below. Both are made my Flex Let and other than the center links I'm not sure what exactly is different between the two. However, he says he got his along with the watch at the same time so I'm inclined to agree that the other bracelet is correct. 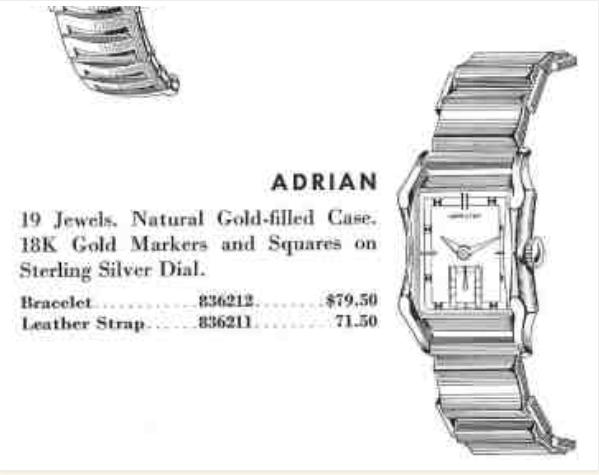 It's the same bracelet that goes with the 1953 Adrian, by the way. I decided to get the dial on the Wynn refinished. Looks much better now, don't you think?